Are you listening to what people are saying about your company? Are you responding to those comments? The goal of social listening isn’t just to hear what others are saying about you, it’s to act on those discussions. In this article you’ll discover what social listening is, how it works and how responding improves communication. Many social marketers think social listening is just paying attention to metrics. But metrics are just a part of it. 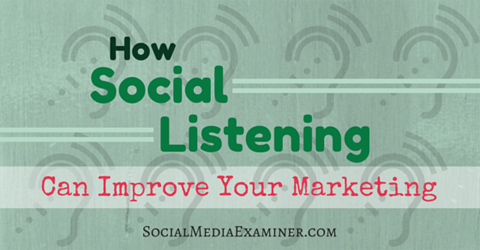 Find tips for improving your social media listening. Social listening includes being aware of what people are saying about you on social media, and then responding appropriately. It’s half awareness and half response—the response part is critical. Basically, social listening boils down to good communication. Listening and responding have several important benefits. For example, you can find out how the public perceives your products and services and improve them when needed. When you take suggestions seriously, you’re building stronger brand loyalty. You can also stem negative social buzz before it escalates. By responding to feedback, you’re humanizing your social voice. Consider the common model of human communication. The most important component is feedback. Take a normal conversation, for instance. 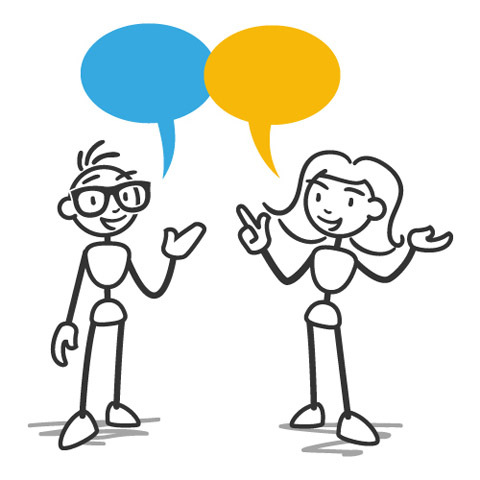 Whenever two or more people interact, they customarily respond to one another’s feedback. There’s more to conversations than simply talking. Image: Shutterstock. That’s a normal, natural conversation. The man and woman are responding to the feedback from the messages they send. What if the conversation went like this? That doesn’t make any sense. The man is not listening, and you can tell by his response that he’s not paying attention to feedback cues. Pay attention to what you hear. Image: Shutterstock. His inane comment about the color of his pants is totally unrelated to the conversation. It signals that he is oblivious to feedback, ignorant of the conversational flow and uninterested in continuing the conversation he started. Becoming a listener takes practice, time and patience. A good listener—both in person and in social media—is a good responder. The best listeners are also the most skilled conversationalists. 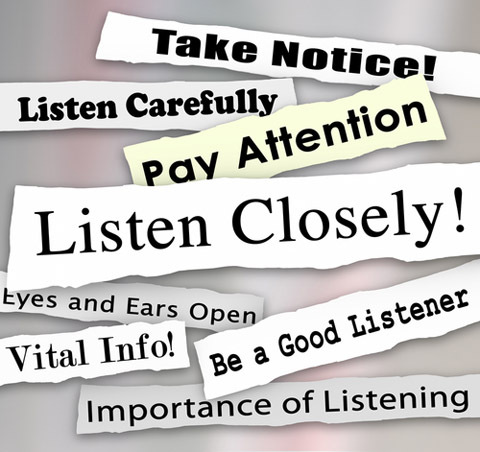 They’re not talking all the time; they are listening first and taking cues from others’ feedback before they respond. Forrester’s investigation into social media listening found that there are several stages of advancement in social media listening, each one progressively better. 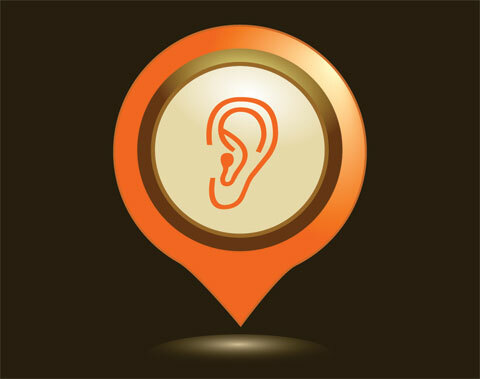 The listener always begins by monitoring, and then builds up to deeper levels of engagement. At their most advanced level, social listeners treat each social participant as a unique marketing channel and concentrate all social components to bear upon a single point. Learning to listen effectively is a process. Image: Shutterstock. To get started as a social listener, you’ll need to have the proper tools in place. Find out which ones will best serve your purposes and start using them. There are a lot of options, but you only have to select a few tools to be a successful listener. Of course, tools are great, but if you don’t use them for more than metrics, you’re missing out on essential conversation opportunities. Being a listener doesn’t happen simply by deciding to be one. It’s critical to allocate time in your schedule (I recommend daily) to use your tools to listen and engage with your social media tribe. Listening is one of the most essential life skills—a building block of interpersonal relationships. But it’s hard work because true listening requires you to respond to every interaction—no one likes to be ignored. 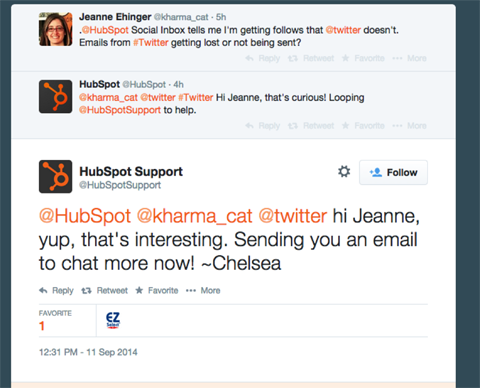 HubSpot listens and responds. The result is they have happy customers. Kendra L. mentioned on Facebook that her Twitter feed was displaying updates from people she hadn’t followed. I wanted to explain why this might be the case. See what I did there? I specifically mentioned something that I listened to on social media, and then provided an answer others could benefit from as well. This simple action deepens the trust of users, ensuring they stay connected and engaged. 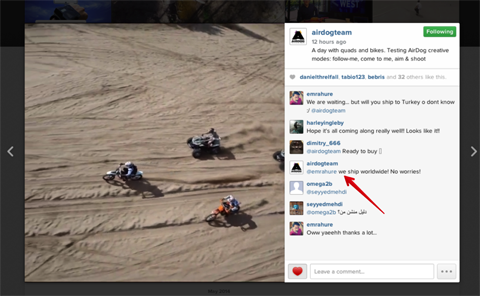 AirDog actively updates their Instagram account and responds to their users’ questions. Another tactic to show that you’re interested in a true conversation is to explicitly ask for feedback from your fans, followers and customers. Ask them what they think and what they want. Then respond to their feedback. You’ll likely find that listening, responding and helping isn’t a one-way street. You’ll receive value from your audience when they comment and provide information on something you may not know. If your social tactics don’t include listening and responding, you could be holding yourself back from true success. Social media marketing isn’t just about publishing information and releasing updates. Gathering feedback, understanding its meaning and responding in an appropriate way enhances your brand as a whole. Brands that are social listeners see their social media efforts explode with power. They’re pulsing with interaction and expanding every day. That success starts with listening and grows with action.